Exotico Gives Vegas "A Taste From the Other Side"
Exotico® Tequila, owned by Cfx, Inc. client Luxco, made a tremendous impression last week in Las Vegas during the Nightclub & Bar Convention and Trade Show. As a main sponsor of this year’s trade show, Exotico had a demanding presence at the trade show and at key nightlife events during the four days of festivities. The convention kicked off last Monday with a poolside party that featured a select few vendors and exhibitors. 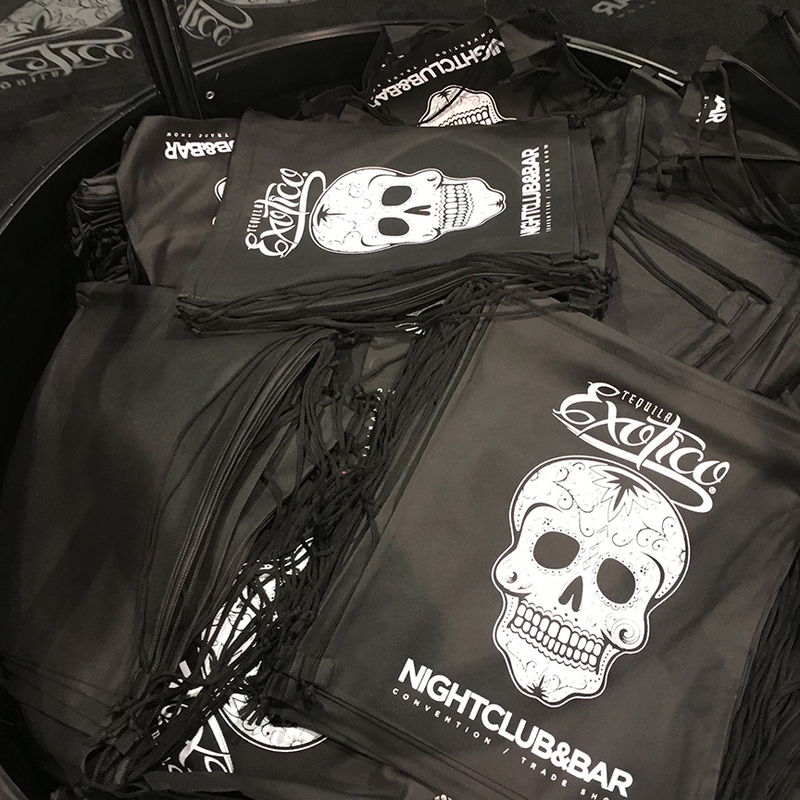 The Exotico booth featured branded lighting elements, glowing wristbands, and a strobing co-branded drink mixer featuring the Exotico brand. The hype continued the following afternoon at Day #1 of the trade show, where each guest was presented with an Exotico-branded swag bag. 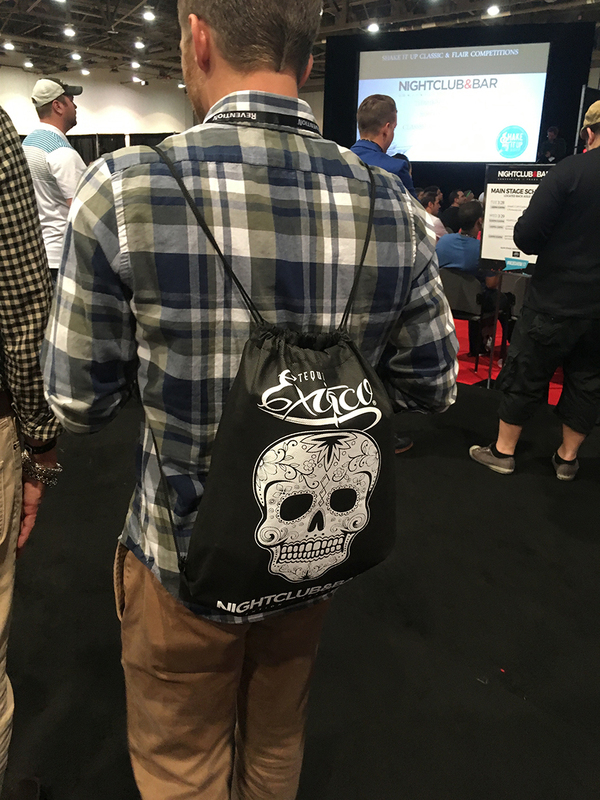 Guests were seen adorned with the Exotico bags throughout both days of the convention, heighten brand awareness every step of the way. The brand also received accolades from other vendors who were eager to partner and align themselves with the Exotico brand. 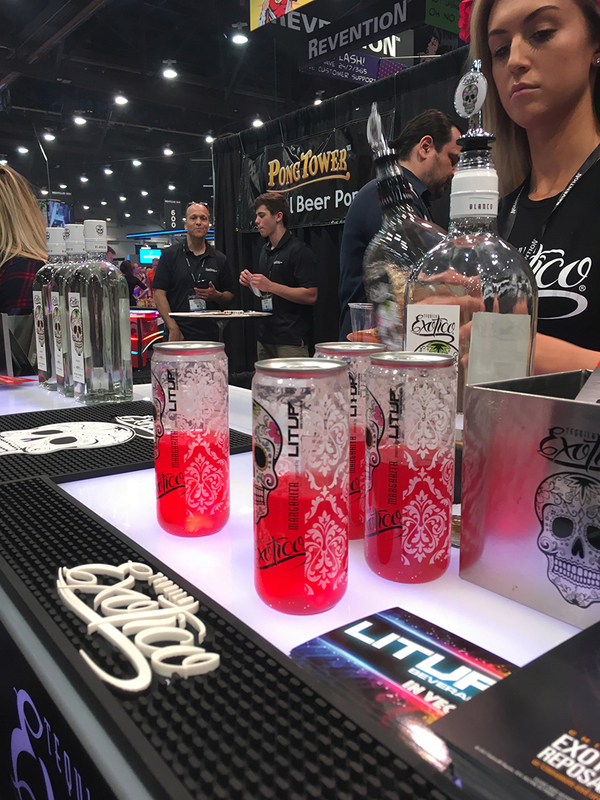 The Exotico booth at the trade show was adorned with many Cfx-designed pieces including postcards, co-branded Lit Up Beverages cans, and the hugely popular Exotico Shot Skis, which garnered their fair share of attention at the convention. Exotico Tequila was rebranded by Cfx in 2013, and has seen huge growth in the years since. Check out their website at www.exoticotequila.com.